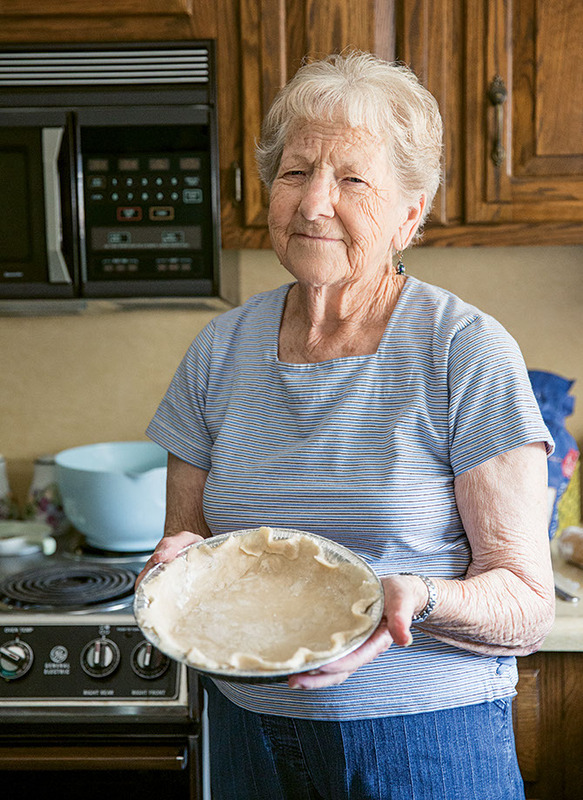 Dorothy McGinty of Brooks, Kentucky, is able to make pie crusts from scratch using 4 cups of all-purpose flour, 3/4 cup ice water, 1-1/2 cups Crisco, and 1-1/2 teaspoons salt. 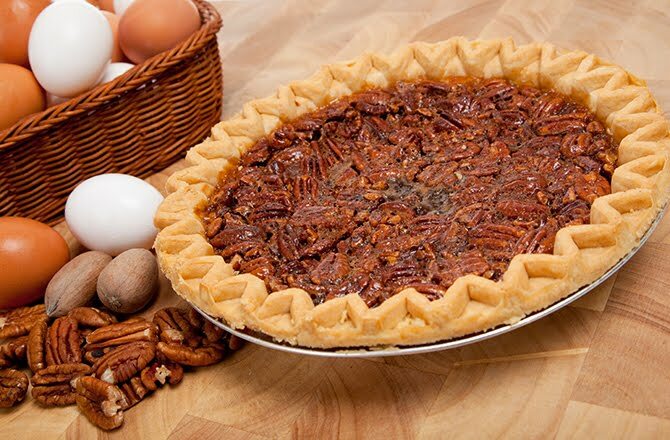 She says it is important to use ice water and not tepid or warm water for the crust to keep the crust flaky. She mixes the ingredients together by cutting in the Crisco in small pieces until each one is coated in flour. She then slowly adds ice water to the mixture until it is pliable and can be rolled in a ball. When she rolls out the crust, she makes it about ⅛-inch thick and big enough to set in her pie pan. When she lays the crust in the pie pan, she spreads a bit of flour over it to keep it from turning too brown while baking. She puts all of the ingredients in a bowl, mixes well, and pours the mixture into the crust. She says the pecans stay on the top of the mixture and don’t sink to the bottom. Don't forget to try the recipe to her apple pie crust!